Balloon artist Tawney Bubbles, is not just your average balloon twister. Her skill and bubbly personality have made her a favorite in the event industry. Far surpassing simple balloon swords and poodles, Tawney’s unique and creative art form will bring an entirely new life to your event. 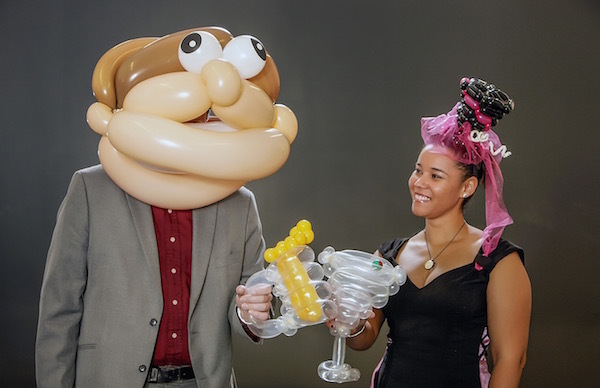 So weather you are looking for something for a family event, an upscale cocktail party, or you want something that will really draw attention to your trade show both, Tawney’s balloon twisting skills will take your breath away! Balloon artist, Tawney Bubbles, will make your birthday party, Bar/Bat Mitzvah, school event, or any other family event really shine. Her balloon animals, hats, and creations are truly amazing. Having twisted balloons for close to two decades, Tawney ‘s experience as an entertainer and artist will insure you and your family have the best party ever! Class and sophistication need not be sacrificed in order to add a little whimsy to your event. By coordinating balloon colors to the wearer’s own outfits, beautiful balloon hats and bracelets are created to keep your guests looking as elegant as they do fun! 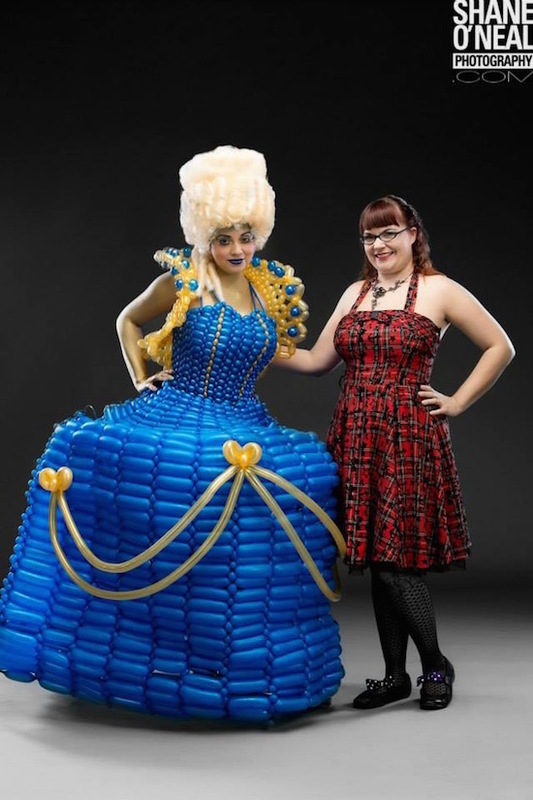 Balloon dresses have kicked it up a notch in the balloon world! No longer limited to poodles and swords, Tawney’s balloon dresses are each a one-of-a-kind creation custom tailored to your event. So weather you are looking for something to really wow an audience, call attention to your trade show booth, or just make your event really unique and special, Tawney’s balloon dresses are the way to go.